Once upon a time, I was invited to Ascot. This gave me the perfect excuse to go out and make the acquision of a hat. 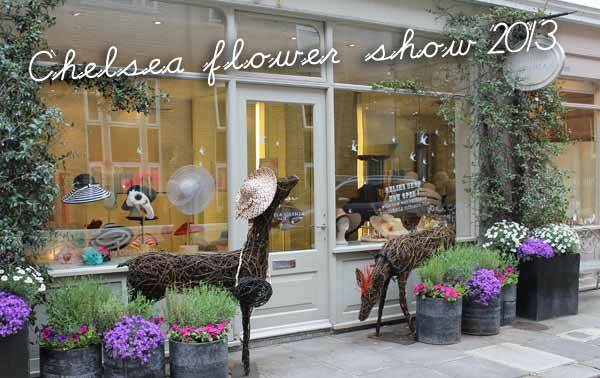 As luck would have it, I stumbled upon Gabriela Ligenza, a milliner sandwiched between the Lulu Guiness Boutique and the French Sole shoe shop on Ellis Street (if you are walking towards Sloane Square on Sloane Street it is a little street on the left). 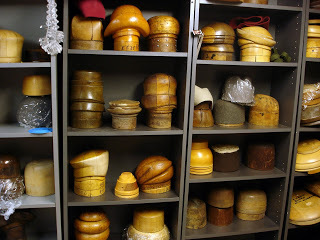 Gabriela Ligenza is not an ordinary hat shop (would I write about anything ordinary?). Hats are made the old fashion way; by that, I mean using the time honoured tradition of hat blocking. This process is listed by UNESCO in their inventory of Rare Craftsmanship. Wooden blocks are sculpted into forms onto which materials such as straw, felt and organza are brought to life. The video above features the hat making process of another London hat maker, Stephen Jones. It is fascinating to watch how a hat is created from beginning to end. According to Gabriela, some of her creations can take up to three days to complete. Once the hat is blocked and moulded onto the form, a process which is far more complex and time consuming than you can imagine, the hat begins to take shape (no pun intended). stylishmews advise: This hat is perfect for a mother of the bride or any other special occasion. 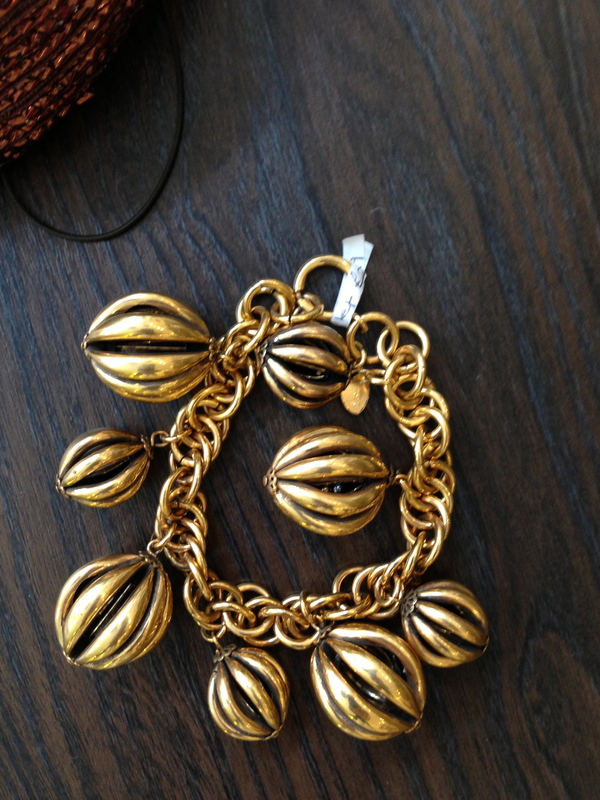 It looks fabulous in photographs and is easy to wear. 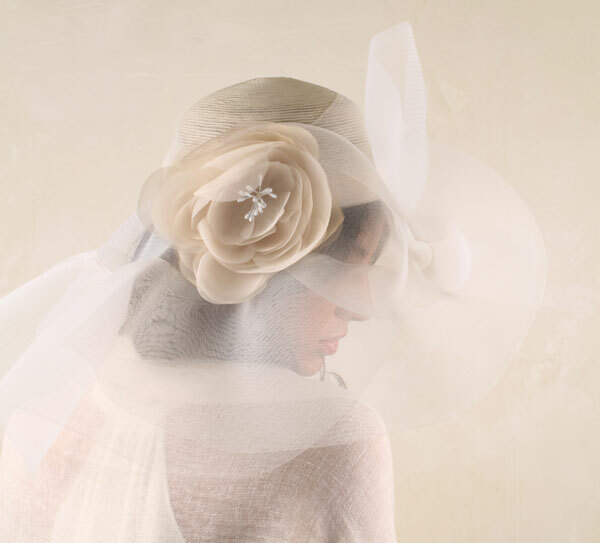 An ultra feminine and romantic off-white swiss braid hat with off white and cream silk organza flower. The strength of Gabriela’s collections stem from a mixture of her background as an architect and the inspiration she draws from her extensive travels around the world. Both of these characteristics come through in each of her designs. If the large assortment of hats do not suit your taste or occasion, do not fear, the lovely Claire is on hand to help sort out a custom solution! Recently I was in the shop as an anxious mother of the bride was being advised on a myriad of bespoke options. Something as important as the purchase of a hat requires the time and attention of a knowledgeable sales person. You will find her here. I am a great fan of Gabriela’s accessories as well. 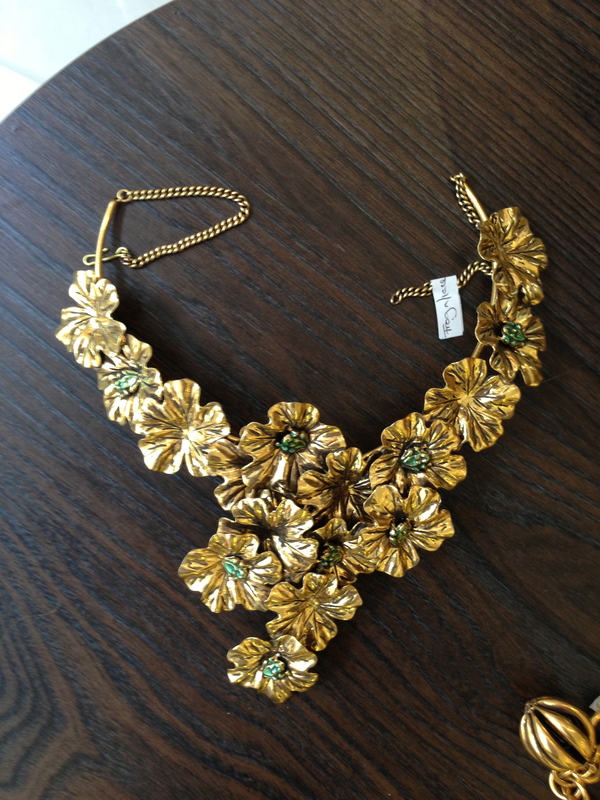 You will find costume jewellery designed in Italy by Babs Yohai. This necklace is not only beautiful but whimsical. Can you see the little frogs? If jewellery is not your thing, you might be tempted by the woven leather bags or wonderfully soft cashmere and silk shawls on offer. This beautiful leather bag, below, is made in one piece with a single seam along the bottom. It is very light and can go over the shoulder to make it easier to carry. It also comes with a removable inside leather wallet . 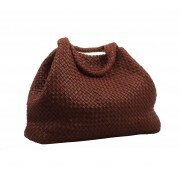 Hand woven nappa leather bag with dry rose red leather interior. 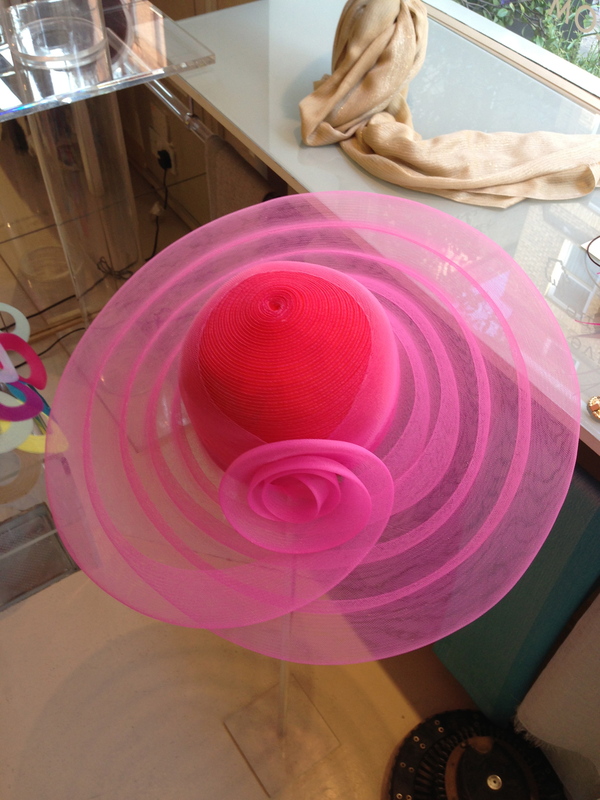 Although Gabriela Ligenza is a hat shop, it is the wonderful accessories I get seduced by. Each season something new is introduced that is always noteworthy and invariably, purchased. This bracelet is a great alternative to a charm bracelet!